Gates are a family owned and operated Ford Main Dealer group- the current Managing Director representing the fifth generation. Established in 1920, Gates Ford have a rich heritage in the motor trade. Gates have delivered 95 years of excellence and expertise and have subsequently developed a reputation for high standards of service and quality. This unique approach to service has seen Gates Ford become the leading name in the region. At Gates Ford, we are dedicated to making your experience with us as seamless and worry-free as possible. We understand that all of our customers have individual needs and requirements and we will endeavour to accommodate them accordingly. If you have a specific query, or would like to discuss this with our team, please do not hesitate to contact us. Fully-trained Motability Specialists- our team will be able to discuss your vehicle needs with you and offer advice on the Ford vehicles that are most suitable for you and the associated adaptations available on that vehicle. Trade-in available- get a free valuation on your current vehicle. While you wait appointments- relax in our comfortable waiting areas whilst your vehicle is being worked on. "I chose Gates because of its location and found it very easy to reach. I found the experience very pleasant, worry free and relaxed. Motability Specialist Mel Shaw takes excellent care of you, is very competent and puts you at ease as soon as you enter the showroom. From start to finish the whole process was worry free thanks to the excellent service received at Gates." Mr M, Harlow. "The salesman we dealt with was so helpful, even when deciding on colour, he took my wife and I to where many cars were parked on the forecourt to see the colours on actual vehicles." Mr B, Chigwell. "Gates have a large selection of vehicles and were very friendly and knowledgeable when it came to choosing a car. This is my second Motability lease and I've never had any problems. Smooth sailing all the way! 5* customer service." Mrs C, Cheshunt. "I chose Gates for my Motability vehicle when I first needed their help. I have been a customer of their's ever since. That was nine years ago. They could not have been anymore helpful." Mr C, Stevenage. "Even though my local dealership has closed, it is still worth travelling a greater distance to Gates of Stevenage as they always go the extra mile. I found the process to be smooth and seamless. 10/10!" Mrs H, Hitchin. "I went to Gates because it is local to where I live. Motability is a wonderful scheme." Mr P, Essex. "I found the experience with Gates Motability Specialist Les Cross extremely easy and friendly as we went through all the options available." Mr L, Clacton-on-Sea. "The staff are so friendly and helpful at all times. They will always sort a problem out if you have one. 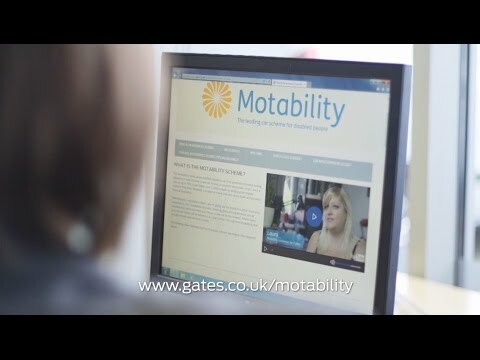 I would recommend Gates to other Motability customers." Mrs C, Harlow. "I chose Gates for my Motability car because they provide a first class service on sales and servicing of my vehicle." Mr J, Bishop's Stortford. "When purchasing my Motability vehicle, I found the process straightforward, and without any hassle. I am very happy with my purchase." Mr S, Hertford. "I've always been very happy with all my cars, and the care I've received from Gates." Mr B, Loughton. "I chose Gates of Harlow for my Motability vehicle because of previous experience of good service and friendly, efficient staff." Mr C, Harlow.